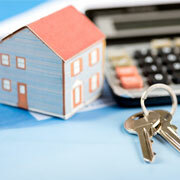 Mortgage closing is one of the key steps in the process of buying or financing a home. This is the time during which the mortgage loan gets finalized and the funds are released, following which the customer is legally required to pay back the mortgage. This process usually requires all the parties involved to sign the necessary documents and may take few weeks as the signatures are collected separately and can be a cumbersome task. Therefore, outsourcing mortgage loan closing support services to a third-party service provider will ensure that you will have a hassle-free experience. Outsource2india's mortgage processing team provides end-to-end mortgage assistance services, which are required at the mortgage closing stage. We have been in the mortgage industry for almost two decades now and are aware of all the complications that are involved in this process. Outsourcing mortgage closing support services to us can help you save a lot of valuable time and money and also let you concentrate on your core business. We have a team of mortgage experts who handle all the complexities related to title work. We assist our clients with ordering and examining titles, creating title insurance, and making the entire process simpler for the underwriters. Our expert panel of financial and mortgage experts have the required skills and resources to cater to the mortgage closing support requirements of the clients. These include collecting all the required documents, reviewing the property in detail, checking for easements, and finally getting the loan application approved by the underwriter. Along with this we also send the closing instructions statement along with the bank note, and wiring instructions. We provide mortgage closing support for lenders as well as mortgage closing support for credit unions. The loan application is reviewed by experts to determine whether it can be approved or not. The mortgage closing support team at O2I prepares an instruction list for closing the loan and sends it to the funding department, which include Closing Instructions, Bank Note, Wiring Instructions, E&O Insurance, etc. We compare the final statement against final LE to see if there are any RESPA violations. We also verify the cash required by the borrower against the underwriter approval. Our team is equipped to provide pre-closing support services to our clients within a quick turnaround time. These include getting original insurance, obtaining down payments and closing costs, assessing closing documents and certificates, reviewing payoff statement, etc. Outsource2india is a leading company providing mortgage closing support services and has been serving global lenders and brokers for over 20 years now. We follow a strict and systematic process, which enables us to deliver the best services within a quick turnaround time, without any compromise on the quality. Our team consists of experienced and dynamic financial experts who can assess the situation very quickly and provide suitable solutions. Outsource mortgage closing assistance services to us and concentrate on your core competencies. To know more or discuss your outsourcing requirements, please feel free to reach us now.